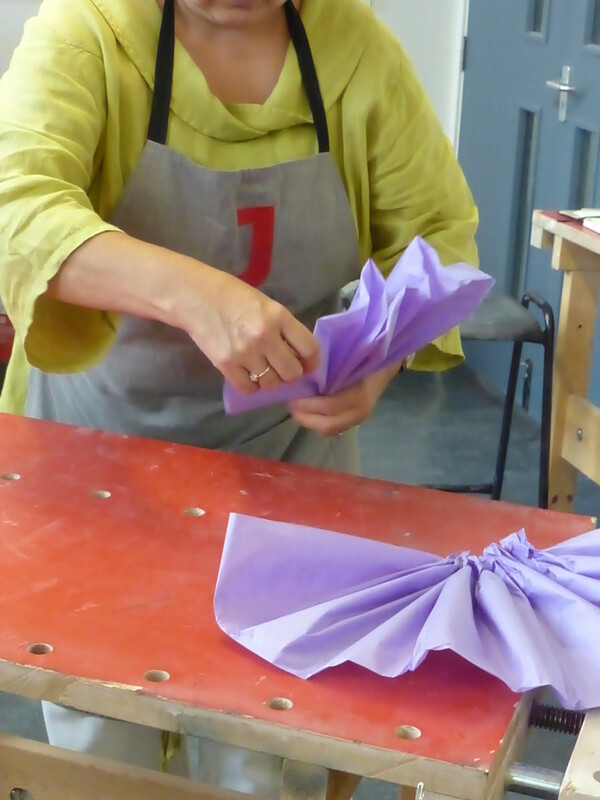 It was great to be able to run a workshop where we could make a mess – my other “pop up” venues have been cleaner in respect of them being eating establishments, having carpeted floors, or holding an array of merchandise. In addition, the whitewashed walls of the artist’s studio at Creek Creative make a fabulous backdrop for photographs – and the café is amazing! 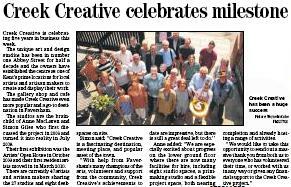 Turned out that my workshop coincided with the fifth anniversary of the opening of the gallery and studios. I was asked if I would join the team photo front of house for the local paper and lo and behold: there I am in the front row! 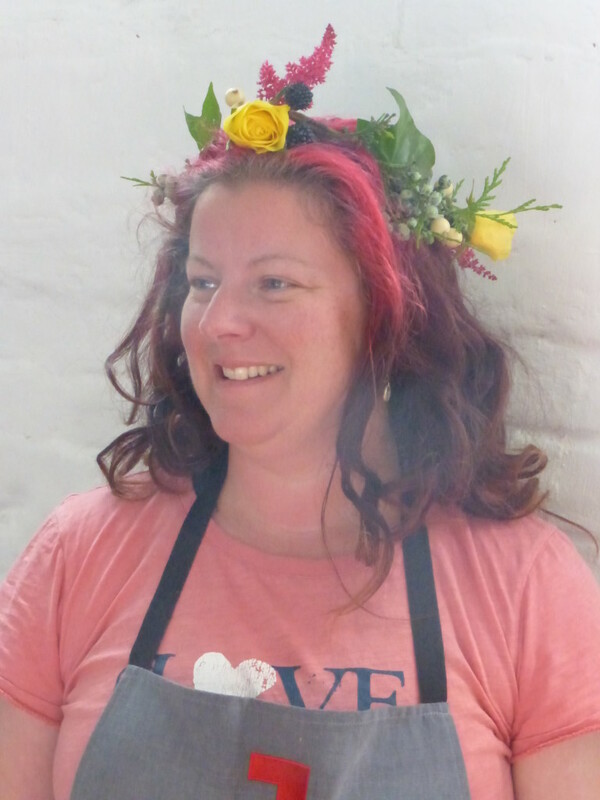 I called the workshops at Creek Creative Flowers for Friends and Festivals. 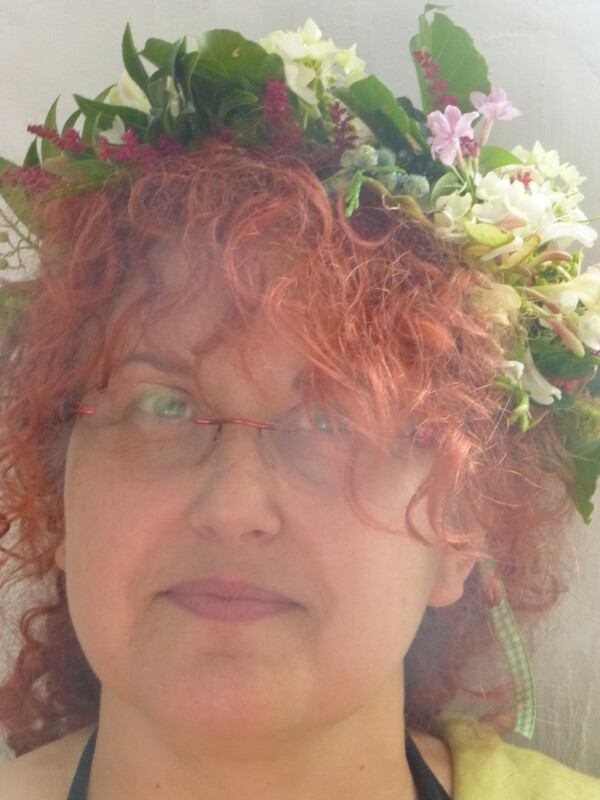 We made hand tied bouquets in the morning and floral crowns in the afternoon. 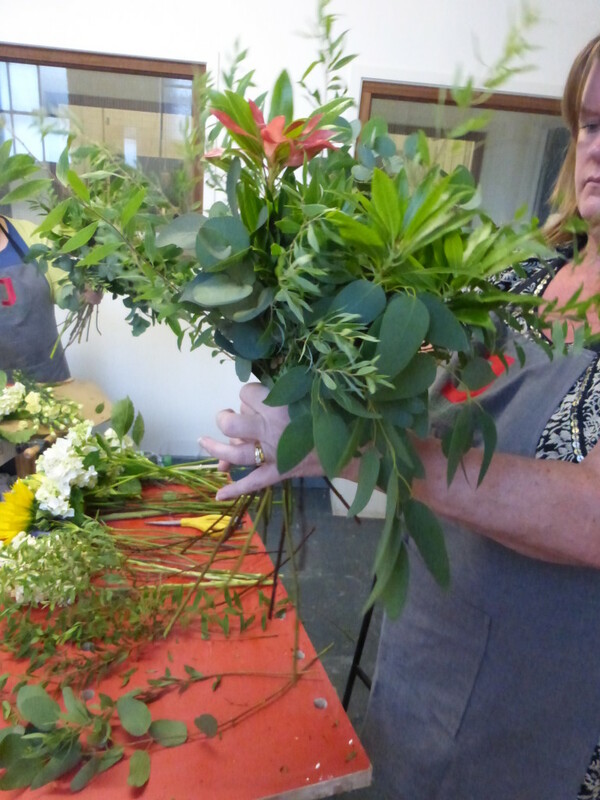 For the morning session I was joined by Angela, Gill, Amanda and Chris who had varying flower arranging experience. 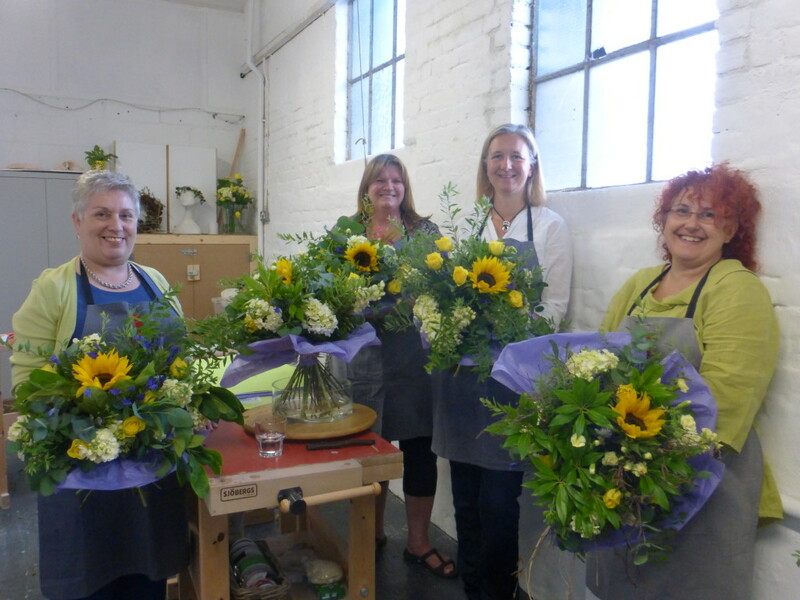 Angela is a trained florist, Gill has been taught a bit her sister, Amanda has picked up some tips from her mother and Chris has attended a course at a local college. A mix of experience and abilities, with everyone set on refreshing their skills or learning something new. After coffee and introductions we gathered around the front table and talked about conditioning (preparing) flowers and foliage for using in our arrangements. A clean bucket, flower food, stripped back foliage and “ballerina toes” – if I’ve stumped you there leave me a comment in the box below and I’ll explain more. We used garden greenery as the foundation for our arrangements and then used the drop-in method for placing our flowers into the bouquet. Lots of greenery is the secret, as it gives a good, full base to support the flowers. We used eucalyptus, peiris, spirea and hebe. 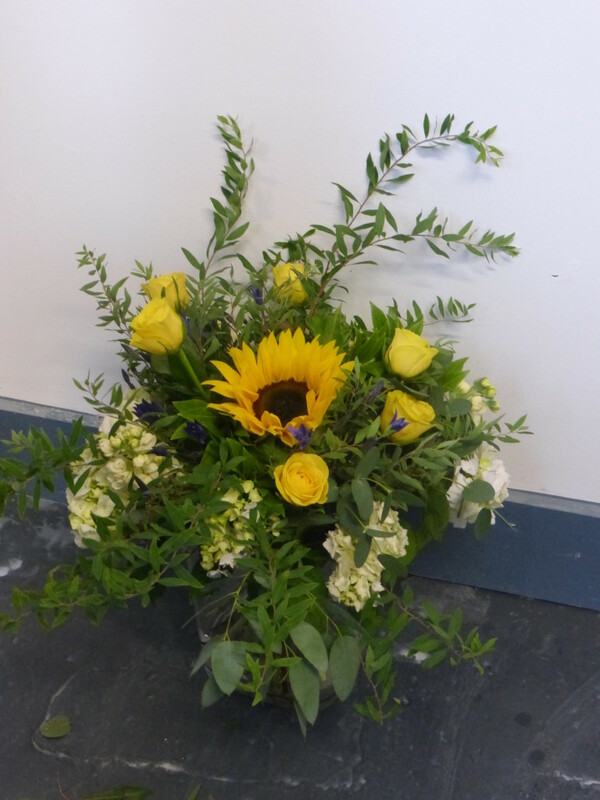 With summer in our minds I’d selected a seaside palette of flowers – sunny sunflowers, yellow roses, white clouds of hydrangea and blue skies of triteleia. Adjustments were made and the bouquets tied off and fan-wrapped with tissue paper. I’m sure you’ll agree that there was some fabulous work on display. Heads held high some stayed for lunch and others took a proud walk home displaying their handiwork. 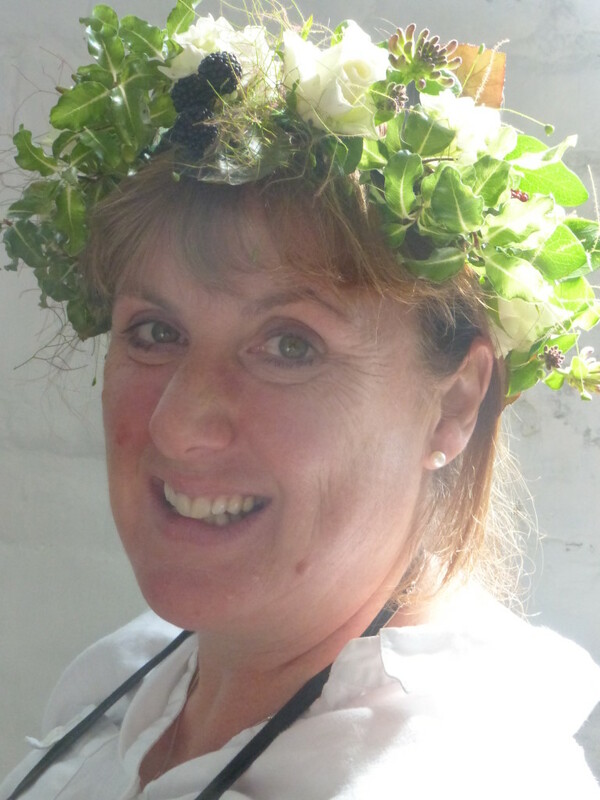 After lunch Angela and I were joined by Caroline and Libby for an afternoon of floral crowns. After familiarising everyone with a range of stub wires and stem tape we delved into a treasure trove of fresh and faux materials and wrapped and bundled materials together and then fashioned our crowns. A successful afternoon I’d say so. 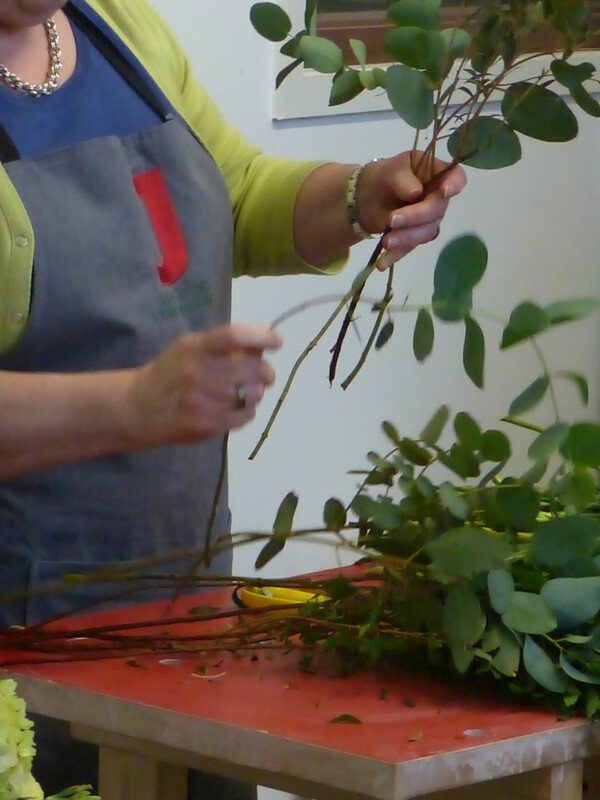 If you’d like to keep up to date with my workshops you can sign up to my mailing list on my homepage www.juliedaviesflowerworkshops.co.uk or contact me on social media.